SuperBeam, ProSteel and EuroBeam are produced by Greentram Software Pty Ltd, Melbourne, Australia. 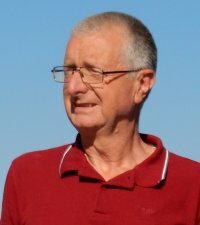 Greentram's director is Tony Bryer, who has spent most of his life in the UK. He studied at the University of Reading, gaining a building surveying degree in 1974, and subsequently qualified as a Chartered Building Surveyor. After ten years working for a London Borough, first on building maintenance, then as a Building Control Officer, he left to set up a design and build company with a colleague. In 1988 these activities were demerged, Survey Design Associates Limited (SDA) being set up to take over the design work. In 1989 SDA released its first software package for UK construction professionals, SuperBeam, which was followed by other programs including ProSteel and SuperBeam USA (no longer available), and now EuroBeam. In 1990 SDA introduced SuperHeat, which checked new home designs for compliance with UK building regulations relating to energy conservation. SuperHeat was taken over by Elmhurst Energy Systems in January 2008 and is no longer available. In 2008 Tony Bryer moved to Melbourne, SDA's business being transferred to a new Australian-registered company, Greentram Software Pty Ltd. SuperBeam and ProSteel continue to be steadily improved, and have been joined by a Eurocode-based program, EuroBeam, first released in 2010, with a cloud-based version EuroBeam.net released in June 2015. Activation key issues? Please check out our Activation Key Problems page before contacting us.